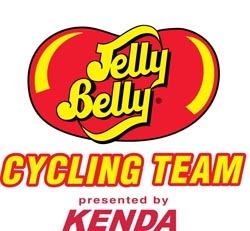 On Thursday, February 4th some lucky bidder will win a full weekend at the Jelly Belly Cycling presented by Kenda 2010 training camp, February 19-21. And the good part is that all monies raised benefits Kimberlee's Bikes for Kids, a 501(c)(3) foundation that provides free bikes, helmets, and locks to underprivileged kids. You can check out the auction by clicking here. Established to honor Kimberlee Caledonia, a talented and avid cyclist from San Diego who died of brain cancer in 2008, Kimberlee's Bikes for Kids distributes free bicycles, helmets and locks to underprivileged 1st - 3rd graders. For more information on the 501(c)(3) foundation, go to www.kimsbikes.org.